Last Week in Review: The housing sector is batting strong, while the overall economy showed signs of a slump. 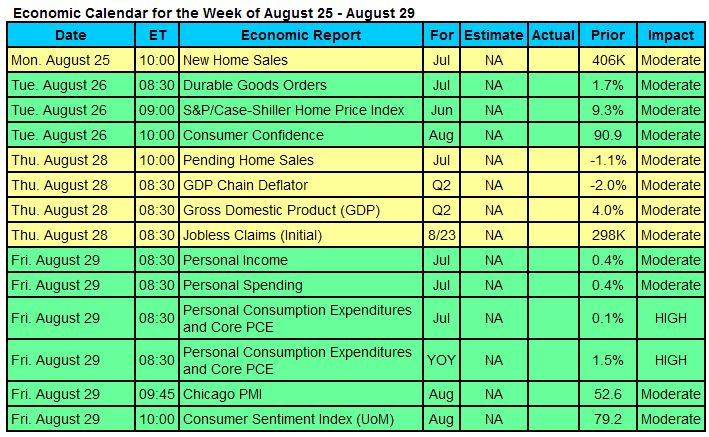 Forecast for the Week: The markets may be closed on Friday, but not before key reports on housing, manufacturing and the labor sector are released. View: Check out these six keys to maximizing your success. “You don’t have to swing hard to hit a home run. If you got the timing, it’ll go.” Yogi Berra. 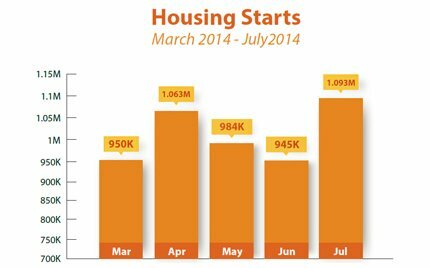 May was a good time for the housing sector, as several reports came in strong. New Home Sales hit their highest level in seven years in May, rising 2.2 percent from April to an annualized rate of 546,000. April’s figures were also revised higher to 534,000. 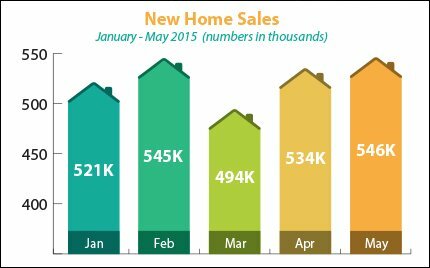 Sales of new single-family homes are up nearly 20 percent from May 2014! 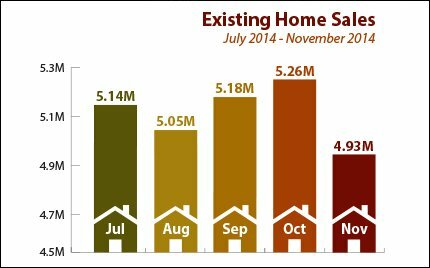 Existing Home Sales also rose 5.1 percent in May from April. However, the economy overall isn’t batting as well, as the final reading for first quarter Gross Domestic Product (GDP) showed that economic growth contracted by 0.2 percent, though less severe than the -0.7 percent from the second reading. In addition, the negative reading for the quarter was the fifth time in the six-year recovery that the economy couldn’t produce at least an anemic reading of 1 percent. Growth in the first quarter was stunted by a negative trade balance due to the stronger dollar, harsh weather and the West Coast port closing. And with inflation still tame, rest assured the Fed will be watching economic reports closely this summer, as they determine when to raise the benchmark Fed Funds Rate (the rate banks charge each other to lend money overnight). Overseas, the uncertainty surrounding Greece continues. 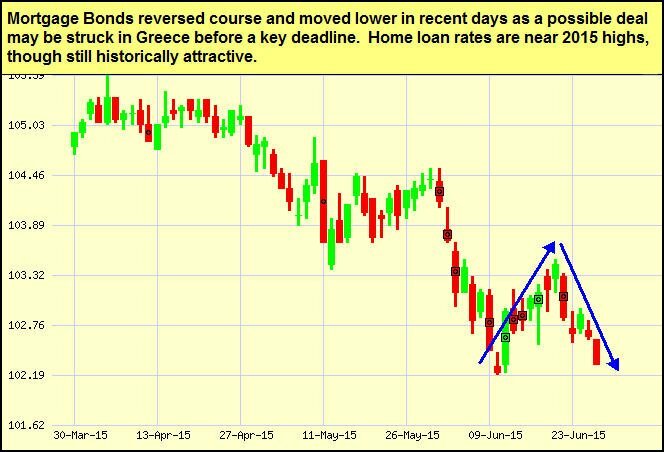 Mortgage Bonds reversed course and moved lower in recent days, in part because signs have pointed to a possible deal. This will be a key story to watch in the next week. 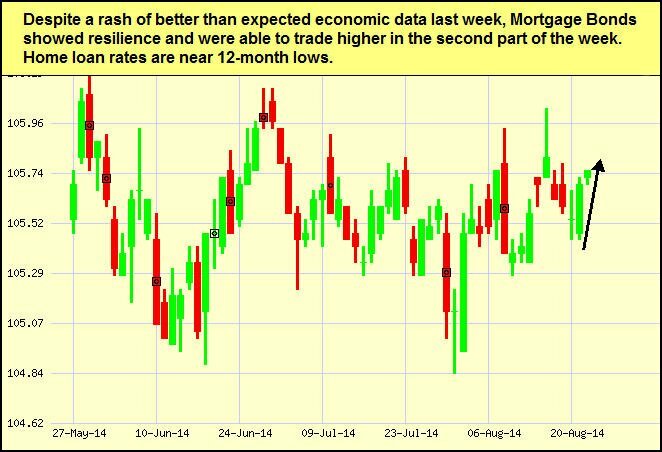 Home loan rates are near 2015 highs, but are still very close to historic lows. 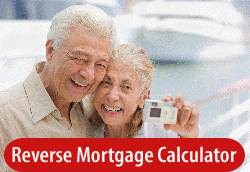 If I can answer any questions at all for you or your clients about a home purchase or refinance, please get in touch!